a) To begin with, do use keywords whenever possible – they make it easier for your article to be manifested by search engines. b) Develop distinctive keywords to keep the contentpertinent and fresh. c) Pay attention to the frequency of keywords. Very few keywords can result in your article being ranked lower by the various online search engines. On the other hand, excessive use of keywords is also a bad SEO trait that not only looks clumsy but can also lead to many portions of your submission being altogether overlooked by search engines. As a general rule, you should insert keywords for every 100 words of text. d) Make keywords bold for easy recognition. e) Have keywords that are concise and easily comprehended by the targeted readers. f) It is also a good idea to include keywords in all online profiles and outgoing links. 2. Have Flawless Content: It is well-documented that content is king – there is a reason for thisaxiom. Top-notch, grammatically correct content can draw several readers as well as attract immense publicity towards your products or services; the increased traffic will ultimately lead to higher conversions and revenues. Conversely – without superior and error-free content, it will be very difficult to retain readers and sustain online interest ultimately affecting your income and reputation. 3. Be original: Thisis self-explanatory. One-of-a-kind content has a greater chance of succeeding in the SEO domain and will show your offerings in a better light. In any event – your clients, readers, and search engines themselves have intuitive tools to detect plagiarized text and sift them out of the search engine sphere. 4. Be Relevant:SEO writingdemands single-minded focus to the subject at hand to bolster readership. 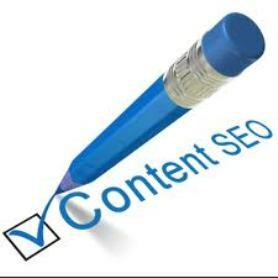 Therefore you must write content totally related to the topic and keep the content succinct and simple. Refrain from unwarranted diversions, jargon, and wordiness. 5. Harness Tags and Meta Accounts: Tags and Meta Accounts go a long way in optimizing your online content. Tagging your submission helps in prioritizing the contained text and also imbues it with body and balance. In this regard, H1 tags are commonly used for titles with further iterations being used for succeeding text. Meta accounts are short summaries of your submissions; they attract better ratings from popular search engines like Google. 6. Create Winning Titles: The article title can make or break its readership potential regardless of the inherent content. Thus it is vital to make use ofengaging headings that are refreshingly worded and unique yet germane to the included topic – this will propel the reader towards your submission. Avoid utilizing run of the mill titles that are anyway employed by numerous other content writers. 7. Showcase the Right Articles: If you write generically, it would be judicious to choose articles that have the greatestaptitude to lure readers and make them forward the same to others. Some genres like humor, do-it-yourself instructions, new product launches (especially in the technology world), breaking news, and entertainment rumors are established crowd pleasers and should feature regularly in your dispatches. Go ahead – follow the above and see your ratings ascend the SEO pinnacle.